Working on a horse's saddle - Art of Posture. Alexander Technique South London. Once someone has had a few lessons, we may look at saddle work on a specially made wooden trestle. 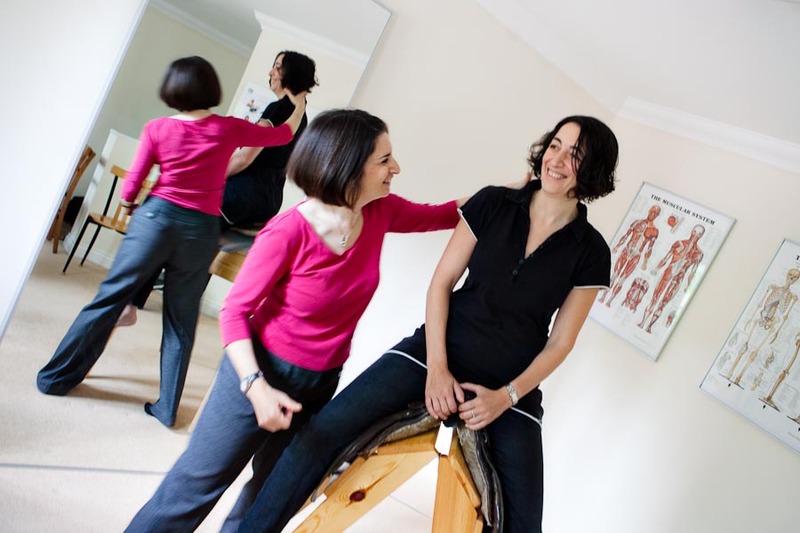 The body can often balance more easily on the saddle so it is useful to explore tightness in the legs and hip joints. And if someone hitches up their back and shoulders to be upright, they can discover this is not necessary. You don’t need to be a horse rider to benefit from saddle work. Office workers often love it as it can be more comfortable than sitting on a chair. And horse riders have often achieved remarkable improvements in their riding. This way of working originated in 1955 from a four year old girl with spina bifida. She didn’t have the use of her legs so couldn’t stand and sitting was difficult. My old teacher, Walter Carrington, started working with her on a toy donkey. It was fun for a little girl and easier for him to work with her to build up her strength and balance. As she grew bigger, he eventually moved on to the horse’s saddle and wooden horse. Her upper body became quite strong and she was able to walk using callipers and crutches and the way was freer to lead an independent life. Posted in Back Pain, Tension and tagged back pain, balance, hip tightness, posture, saddle.